How about a nice, cozy story about WWII to keep you warm this winter? 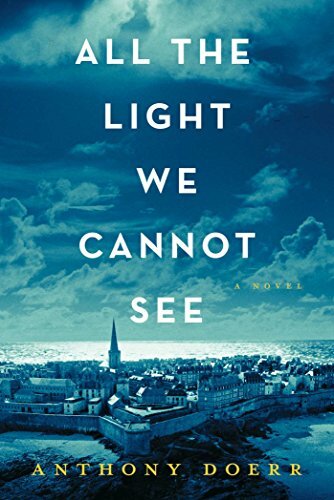 Still, All the Light We Cannot See and titles like it continue to sell well and garner attention. It's a National Book Award Finalist this year, which is what led me to prioritize it on my to-read list. And I liked the book—particularly the twisty narrative that flits at will between characters and time periods, and the plucky and resourceful girl at its center. Marie-Laure, blind since the age of six, lives in Paris with her locksmith father. When they escape town ahead of the advancing Germans, they take with them one of the greatest treasures in the world, an enormous diamond salvaged from the Museum of Natural History where Marie-Laure's father works. Seemingly unconnected to Marie-Laure and her father is young Werner, growing up in a German orphanage. He has a budding interest in radios and electricity, and his aptitude catches the attention of the Nazi party. He is recruited and trained to apply his technical skills to identifying and apprehending resistors, a job that makes him increasingly uncomfortable. It also eventually leads him to Marie-Laure, a fateful meeting that serves as a turning point in both their lives. Despite the endearing Marie-Laure and the mystery surrounding the stone, this is still a book about war. Unspeakable things happen, not just to innocent people, which would be bad enough, but to children. What redemption there is to find is tempered with a heavy, pervading sense of grief and loss. The language may also pose some difficulty, as Doerr has the peculiar habit of describing the landscape and surroundings in lush detail while purposefully obscuring key plot points, a choice that may have been an attempt to create ambiguity but which I just found frustrating. So I recommend this one with some trepidation: it's well-written and prompts meaningful reflection, but if you primarily read to escape, this book is no sunny island resort. Pack a veiled black hat and leave your bikini at home.